We have studied the Part I and Part II and Part III and Part IV of the article “差不多先生传” by 胡适 ( Hu Shi ). Today we will continue the last part of the article. After his death, people applauded Mr. Close Enough as being very wise and philosophical. People said that he refused to take things seriously all his life and that he was never calculating or particular about personal gains or losses so therefore, virtuous. As a result, they gave him the title “Grand Master of Flexibility” posthumously. His fame grew further and wider with time to the extent that countless numbers of people today are emulating him. So that everybody has become a Mr. Cha Buduo. Consequently, everyone has become a Mr. Close Enough and China has now become a nation of lazy people. I love your website. The contents are so rich and really useful. I have just one comment to make. I have being going through your Lessons about Mr. More or Less. 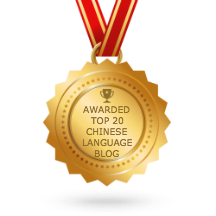 The one difficulty I find when learning a new language – the Chinese language in particular – is that the English rendering of the Chinese text is sometimes rather too free. While it gives the general meaning of the Chinese text, it is not close enough to it, say, the word order used in the Chinese language and the exact meaning of the words used in the Chinese version of the text. I think it would help a lot in mastering a new language by keeping as close as possible to the original Chinese text, even if the English version of it is not that idiomatic English, so as to enable the learner to master the exact Chinese vocabulary used in the text as well the sequence of words used in the Chinese version. I find that this is one useful way of understanding the Chinese way of expressing ideas, which is often quite different from that of a foreign language. Yes. It is always good to have English meaning for each Chinese word. how are u? i hope that u r f9. pls do something for me i want learn chinese from u with writing. I am fine here. Thank. You can learn a daily Chinese word from my website. I hope it can help you improve your Chinese.